7″ Media Tablets Like Kindle Fire…”Dead On Arrival”? UPDATED with Amazon Kindle “Fire” references. 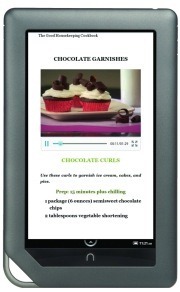 A few weeks ago, TechCrunch reported that Amazon’s 7″ Kindle tablet was “very real” and would ship for the 2011 holidays. (UPDATED: Now rumored to be called “Kindle Fire“. ) Almost a year before that, Wired’s Brian Chen reported that on an earnings call, Jobs said, “the current crop of 7-inch tablets are going to be DOA — dead on arrival.” So the stage is set for an interesting war of beliefs and concepts this holiday shopping season. In one corner, the world’s most trafficked internet retail stores and Kindle inventor, Amazon, and in the other, Apple, the most valuable company on the planet and inventor of the iPad. Will the Amazon Kindle Fire tablet be treated in the marketplace with very little respect or will it shock everyone like the original Kindle? It really comes down to the basics of the consumer value proposition. With a considered technology purchase, consumers actually do a bit of research before they buy. It can be as simple as asking a geek friend for advice, doing a Google search for reviews, or as complex as side-by-side feature analysis, but in the end, it’s still research. Consumers looking at buying a 7″ or 10″ tablet will look at variables like perceived price, value, content, brand, size, display, and weight. More meaningful, though, is how they apply those variables to what they believe they want to do with their tablet and the location they will do it. For the sake of this analysis, I will use the iPad 2 as representative of the 10″ tablet and the combination of a Nook Color and the rumored Amazon Kindle “Fire” tablet as the 7” designate. I will also assume that each tablet has access to the same books, magazines, movies, videos, music and games. The only “iffy” one may be games given the iPad’s tremendous lead today. 20-30% lighter and even smaller means easier to carry and hold for almost every usage model. Anecdotally, I have heard that women prefer the 7″ tablet because they are easier to carry. Half the $499 price of the cheapest iPad 2. Not only is the tablet less expensive, but I will guess that every accessory will be less expensive, too. Free subscription to Amazon Prime, which means free access to Amazon Instant Video Service. Again, this is rumor, not confirmed. 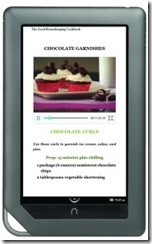 Most of the same books, magazines, videos, movies, web content as the 10″, $499 tablet. Simpler, as in fewer choices for apps and content providers, yet plays the same content. There is one button only. Standard micro USB power and data cable. These are everywhere in the house, your cars, and at the local convenience store. You can also charge from your PC, unlike an iPad 2. More durable, given plastic and rubber design. I don’t care when someone drops my Nook on the carpet. I shriek when someone drops my iPad 2. Twice the viewable image area of everything you see, like pictures, videos, books, newspapers, and web pages. Battery life, although tough to predict. Apple claims up to 10 hours for web, video, and music while Barnes & Noble claims 8 hours for reading. Use more complex applications and basic activities are more responsive, given dual core processor and better graphics subsystem. Think better looking games, richer video and photos, and more complex web pages. Watch videos and listen to music from the tablet to an HDTV, PC, Mac or other AirPlay compliant device. Maybe the Kindle will have some sort of DLNA capabilities, but from what I’ve seen on Android tablets today, it won’t hold a candle to the iPad AirPlay. Take pictures and home movies. While I scoffed at this at first with the iPad 2’s low res camera, I find myself taking pictures and videos with it. It’s just so convenient to take it and show it to someone immediately. Maybe I will stop doing this when iCloud immediately uploads my pictures and videos, but we will see. As you can see, there are potential benefits in a less expensive, smaller and lighter 7” media tablet like the Kindle “Fire” as there are in a fuller-featured, twice as expensive, 10” media tablet. I believe that if the Amazon Fire tablet ships this as rumored above and with Amazon Video on Demand, it will sell extremely well. That is, given competition stays still, which it rarely does. So does this mean Steve Jobs was wrong? No, because when he made that statement a year ago, 7” tablets were priced right on top of the iPad 2 with a lot less content and a much degraded experience. A lot has changed since then and a lot will change in the future. And I am sure of that. Patrick Moorhead was ranked the #1 technology industry analyst by Apollo Research for the U.S. and EMEA in May, 2013.. He is President and Principal Analyst of Moor Insights & Strategy, a high tech analyst firm focused on the ecosystem intersections of the phone, tablet, PC, TV, datacenter and cloud. Moorhead departed AMD in 2011 where he served as Corporate Vice President and Corporate Fellow in the strategy group. There, he developed long-term strategies for mobile computing devices and personal computers. In his 11 years at AMD he also led product management, business planning, product marketing, regional marketing, channel marketing, and corporate marketing. Moorhead worked at Compaq Computer Corp. during their run to the #1 market share leader position in personal computers. Moorhead also served as an executive at AltaVista E-commerce during their peak and pioneered cost per click e-commerce models.